Your products need space to breathe, a medium where they can come alive, if they are to make a lasting impression on consumers. With our creativity and our authentic storytelling, we invite readers and followers into the world of each influencer and let them experience the product for themselves. 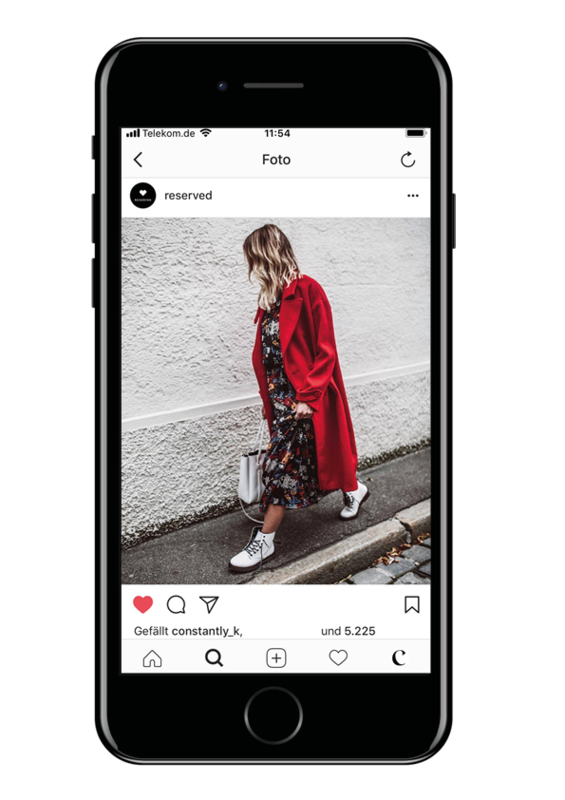 The campaign’s goal was to increase the awareness of RESERVED in Germany as well as pushing the online and offline sales. As a side effect, content for the RESERVED Instagram account should be created. In order to achieve all the set goals, we decided to use a versatile influencer set-up, consisting of a mix of content creators and best performers. Selected influencers show their looks on Instagram and via Instagram Stories using the hashtag #reservedforme. The online boost in sales could be pushed with concrete call-to-action on the followers, which could be measured via the integration of tracking parameters in Instagram Stories. 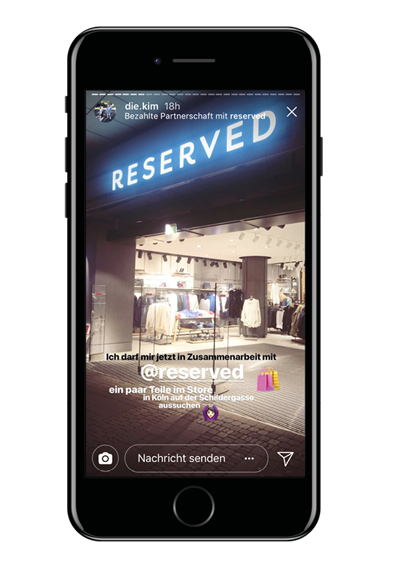 Simultaneously, a drive-to-store effect is reached via Instagram Stories through storytelling from various RESERVED Stores. Another special feature in this campaign was the diversity of the intended target groups. In order to meet the demands of the RESERVED bandwidth but also the different KPIs of the campaign, different types of influencers, such as Mummy and Male influencers are taken into account. Additional postings are generated by mirco-collaborations and seedings. The campaign was realised together with 24 influencers, which convinced through sales performance and high-quality content. As a result, a purposeful mix of streetstyle-looks, shopping hauls, store visits, OOTDs, detail shots and special challenges, was produced. This content-mix was extended through further integration of the key pieces from individual influencers. Thus, a sustainable effect could be achieved. The objective of the campaign was to strengthen the awareness of RESERVED in Germany, as well as the push from online and offline sales. As a side effect, content should be generated for the RESERVED Instagram account. To achieve all goals, we have decided to use a versatile influencer set-up, consisting of a mix of content creators and best performers. Under hashtag #reservedforme, every influencer has created his/her personal look by means of specially selected key pieces from RESERVED and interpreted them individually for him or herself. The looks were introduced via Instagram features, as well as Instagram story hauls. The performance of the influencers could be measured with a concrete call-to-action to the followers and integration of tracking parameters in the Instagram stories. Another special feature in the campaign set-up was the diversity of the intended target groups. 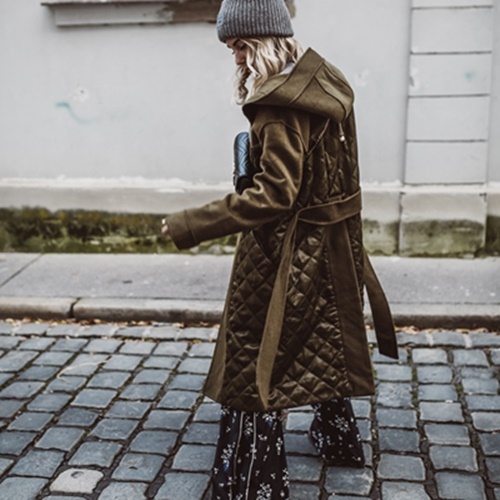 In order to meet the demands of the RESERVED bandwidth, but also of the different KPIs of the campaign, fashionistas were integrated in addition to mummy blogs, millennials, as well as micro- and macro- influencers – which differ with regard to coverage, quality and type of content. With this broad mix, we were able to collect meaningful empirical values for the brand and a long-term set-up could be created in this way. The campaign was conducted with 14 influencers with a convincing sales performance and high-quality content. The result was a targeted mix of shopping hauls, store visits, OOTDs, detail shots and friendship challenges. 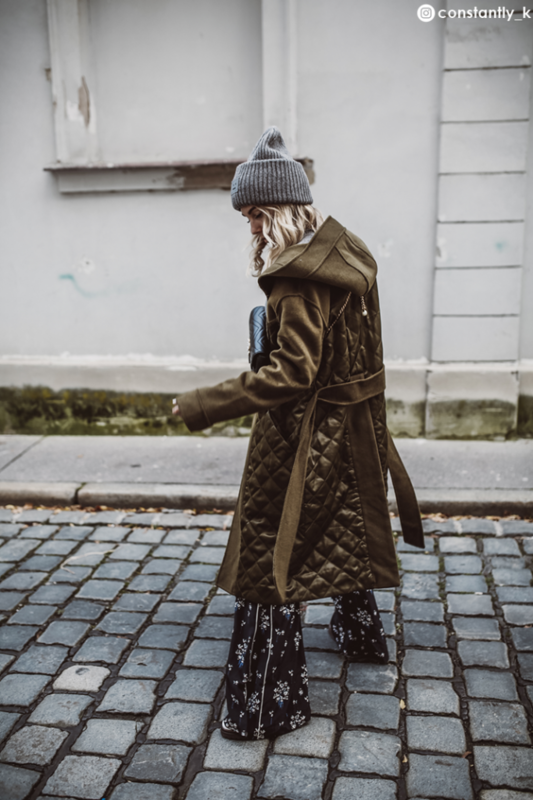 This content mix was extended after the campaign by the natural integration of key pieces of individual influencers, which had a lasting effect. 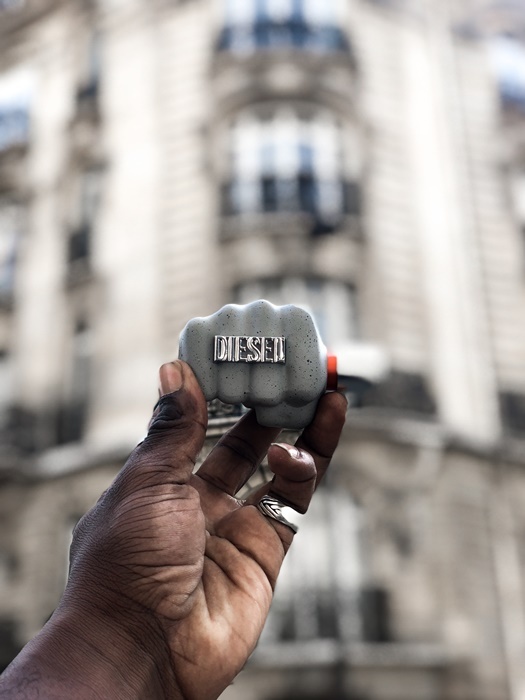 The campaign’s goal was to achieve an online and offline sales push during the product launch of the Kiss Kits on the one hand, and the generation of the product and brand awareness on the other. In order to reach this goal, Pamela Reif, xLaeta and Novalanalove were chosen as brand ambassadors. Dividing the concept into three phases regarding measures and mechanisms were core elements for achieving this goal. Announcing the Kiss Kit on various channels including Instagram Stories, Instagram Postings and Blogposts. In the beginning, no details regarding neither the product, nor the beauty partner were published in order to increase the excitement and tension. The secret was revealed during the next phase. There have been Meet & Greets in four different German cities together with the three influencers. 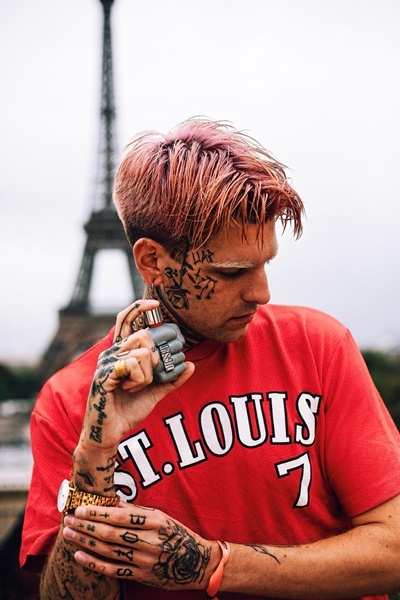 The Meet & Greet events were announced earlier by the influencers via Instagram Stories to obtain maximum success in terms of numbers of visitors and sales. Promotion of the Kiss Kit with the hashtag #Doitforyou through emotional storytelling via personal postings. In order to achieve these goals, all three phases were timed in a way for them to merge cohesively and therefore create a 360-degree-storyline. This mechanism enabled the influencers to become an active part in the campaign. Thus, the influencers stay as close as possible to their followers but also generate a fast product sale. The campaign was successfully performed with three influencers which was proven through their statistics in terms of sale numbers, performance, content creation and awareness for both, product and brand. 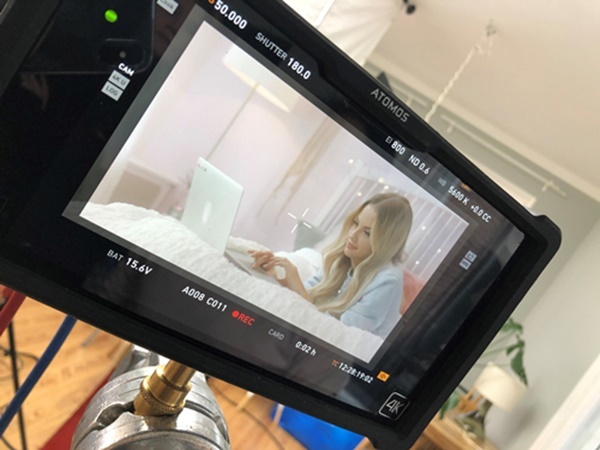 The campaign was successfully rolled out together with 3 influencers, which convinced in terms of sales performance, content creation and awareness for both, the product and brand. 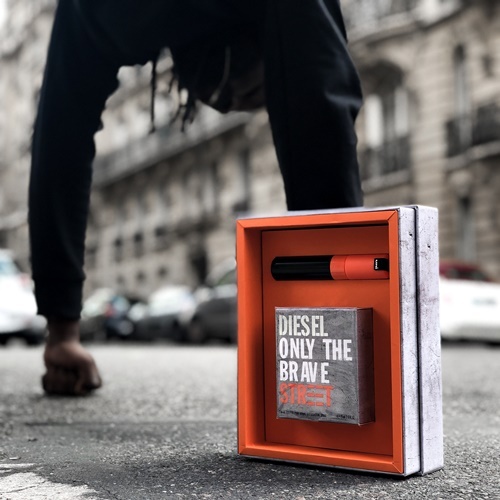 Our task was to generate awareness for the launch of the new DIESEL men fragrance “Only The Brave Street”. The challenge was the composition of male influencers with different reaches generating diverse and creative content and great brandfit. 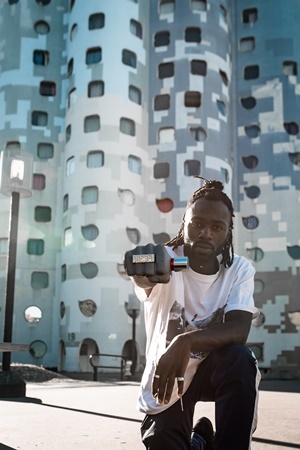 Using the hashtag #onlythebravestreet, eight male influencers in the fields of street art, skating, hip-hop/rap and street style, were supposed to present and prove their courage visually on their channels. 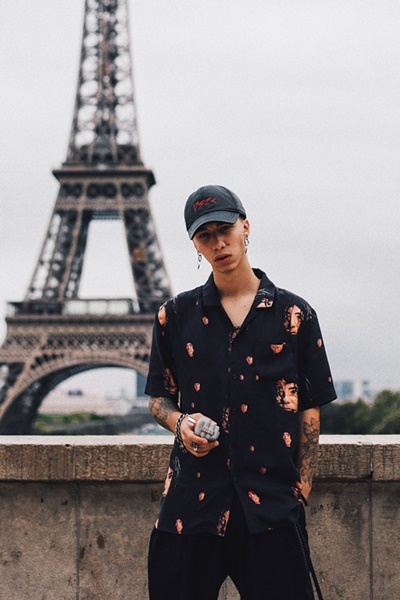 The male influencers were invited to join the launch event in Paris where they have been inspired by dancers, rappers and artists. As a result, a mixture of storytelling, postings and exclusive video material had been created. An ideal target group interference could be reached by the selection of the different influencers as well as by the authentic and diverse content that had been produced. Through the selection of the different characters, authentic and diverse content was created. Thus, an ideal Target-group penetration could be reached. The goal of the campaign was to increase the popularity of and attention for the 5*-star-luxury-hotel in Berchtesgaden. As a sideeffect, content for their own social media channels had to be created. A varied influencer setup, consisting of a mixture of outdoor, travel and lifestyle faces, was put together in order to meet the diverse goal settings. 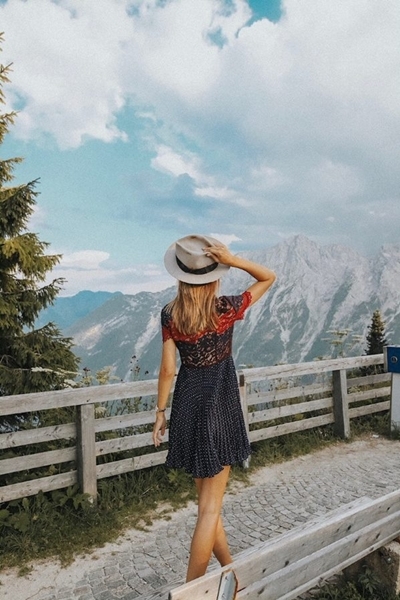 During a six-months period, two influencers travelled to the Berchtesgadener Land per month. 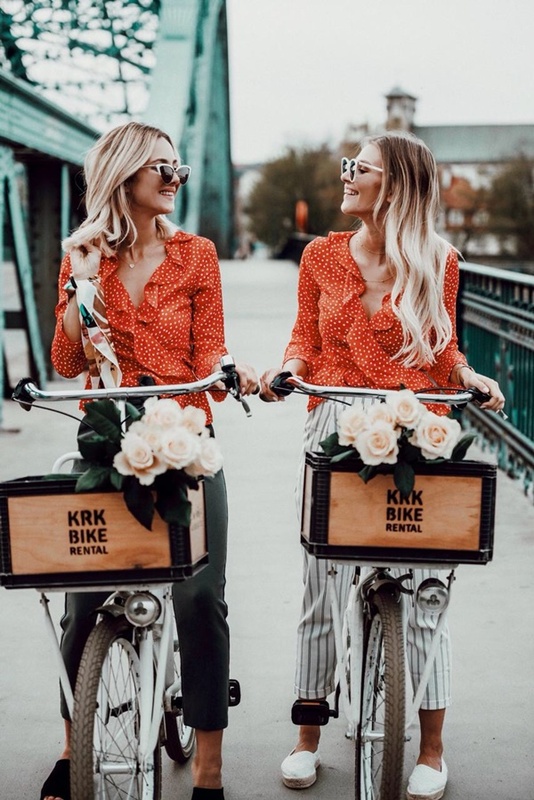 During their stay, the influencers staged the Hotel Kempinski Berchtesgaden as well as activities around the hotel (e.g. Mercedes AMG Drive Experience), via videos, pictures and Instagram Stories. Vouchers and individual guides for activities and Instagram hotspots in the closer surroundings were provided for the influencers. Thereby, they could experiences the region by themselves. Through the multi-faced setup and under the hashtags #kempinskiberchtesgaden #purealpinelifestyle and #bavarianalps, the special at-home-feeling and the cosy atmosphere of the interior design as well as the unique setting in the heart of the Berchtesgadener Alps, were ideally pictured. The content of the different directed influencers complemented the holistic travel-experience, in which the hotel as well as it’s surrounding have been staged ideally. Thus, diverse follower-target groups could be reached. Jack McCollough and Lazaro Hernandez created a fragrance as a hommage to the broad coast of Arizona. The scent stands for the cool, independent, casual, modern, intelligent woman. A large event was held in New York City for the product launch in February 2018. 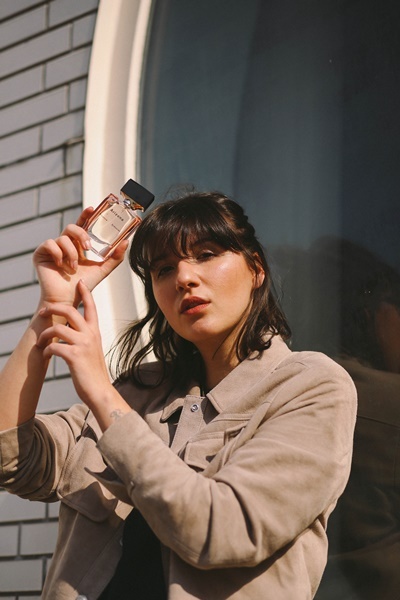 In addition to the event, the fragrance was promoted by 14 popular female influencers with a seeding-content campaign via Instagram Stories, Features and a Blogpost. 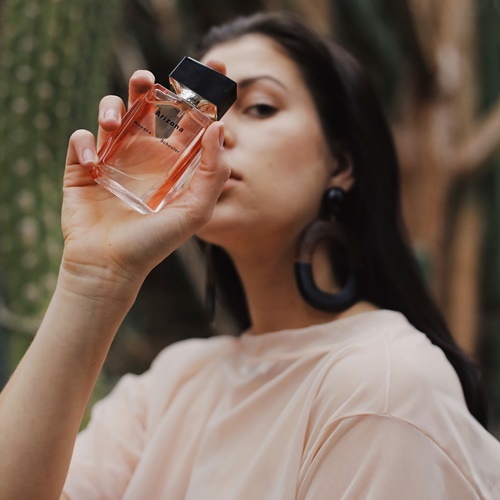 The first scent “Arizona” from the house of Proenza Schouler was launched during the event in New York. The diversity of Arizona’s landscape was mirrored not only in the fragrance but also within the decoration of the event. This led to different replicas of the scenery being constructed. 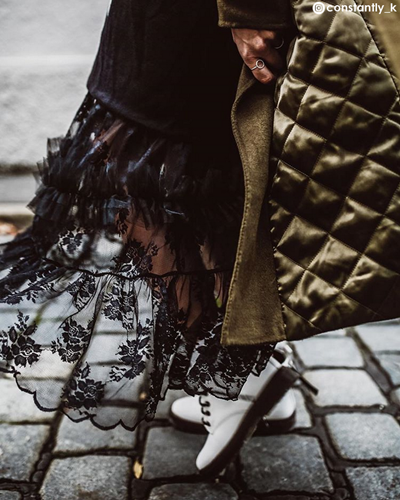 Caroline Daur and Elena Carriere were inspired by the Proenza Schoulder`s first scent right away when they attended the event in NYC. The two influencers were exclusively invited to the event. From this, beautiful content was created in the form of Instagram Features and Stories. Other well-known faces from the areas of fashion and luxury, among others Swantje Sömmer (@offwhite.swan.) and Juliane Diesner (@styleshiver) promoted the fragrance via Instagram Stories and postings on their channels. To launch a new sports bra design from the Triumph brand’s Triaction series. The campaign would feature the new Cardio bra as well as the Studio bra. 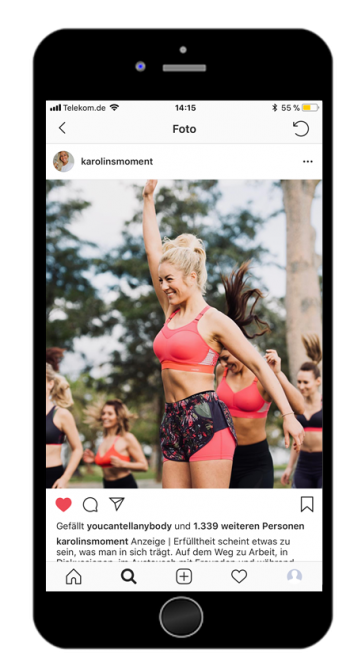 During a Fitness Week event, the products were to be thoroughly tested, enabling influencers to create new advertising material on their channels and blogs. The TRIACTION BLOGGER BOOTCAMP, organised by COVER Communications, took place at the well-known Stanglwirt Hotel under the slogan “Using Nature as a Gym”, in collaboration with four fitness bloggers LINDARELLA, JILICIOUS-JOURNEY, KAROLINSMOMENT and TRAINHARD-EATWELL. Supported by personal trainer Svjetlana Humbert, the bloggers tested the TRIACTION sports bras during various disciplines, including hiking, yoga and HIIT workouts. 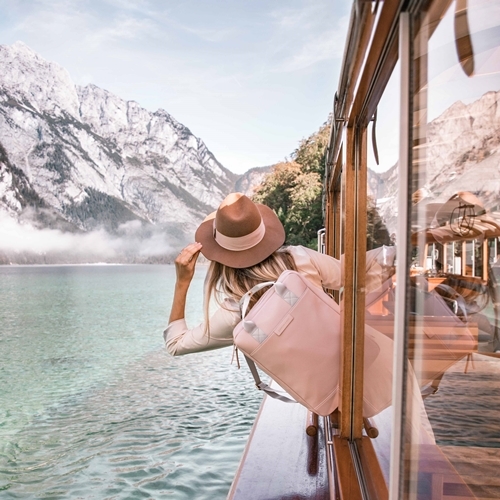 The Fitness Week campaign created breathtaking image material, thanks to the unique backdrop of Austria and the involvement of talented bloggers, photographers and trainers. Influencers used the images for their own social media channels with various hashtags to advertise the new Triaction products. They also encouraged their followers to become part of a ‘Team Triaction 2’ initiative in order to generate a wider reach. Transparency in the evaluation of the campaign is our number one priority. A report with a range of customised data is guaranteed for each client. The aim of the campaign was to increase the brand awareness of Triumph as a sportsbrand and to create content for their own brandchannels. 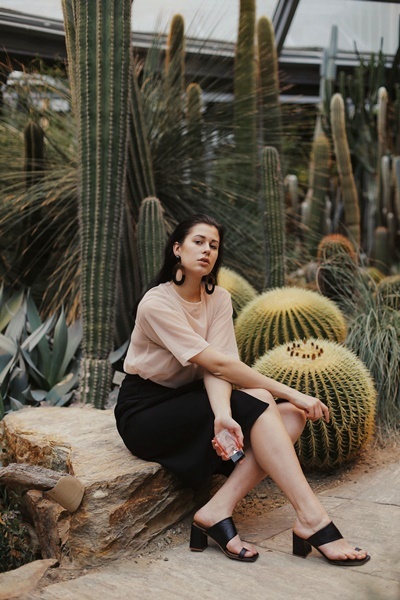 For that purpose, Karolin Pilz from Karolins Moment was chosen as the face for the German-speaking area, in order to continue last years successful started cooperation via an ambassadorship. Under the campaign`s motto IT`S TIME TO COME TOGETHER, WORK TOGETHER, AND TRIUMPH TOGETHER“, Triumph brought 23 inspiring women from all over the world together in Malaga, to spread the empowerment thought of the Triaction series under the hashtag #togetherwetriumph. The first step of the international campaign was the content production for Triumph worldwide. Therefore, image material and infomercials have been shooted together with the ambassadors and a new, innovative and unique workout has been created. The produced content was later published on the social media channels of each representative in the single countries. For the German market, the storyline about Karolins Moment was realised in cooperation with COVER Communications. The holistic marketing measurements aimed at motivating the followers to have fun in doing sports together with their friends and to transport the feeling of „together we can do anything“. Through the combination of Triumph`s produced material and Karolin`s individually created content, an unique digital campaign for the German speaking area was made. The campaign was also extended offline via a „Pop Up Road Show“ and thereby integrated within the marketing mix of the brand. Data for generated reach, impressions, story views and sales are exclusively provided for our customers.